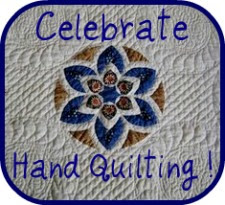 I am always seeking more information about quilting, especially hand quilting, hand piecing and hand applique. I will say that these three disciplines hold the most romance for me but I do not do everything by hand because there are too many projects to be done in my short lifetime. But I continue to have the need to learn and I find that most projects come out better when I pursue them as hand projects. I love studying these three disciplines with books that I can find in used bookstores or on the Internet. “By the Piece” quilting correctly describes that outline stitching on the interior of pieces constructing any patchwork block. 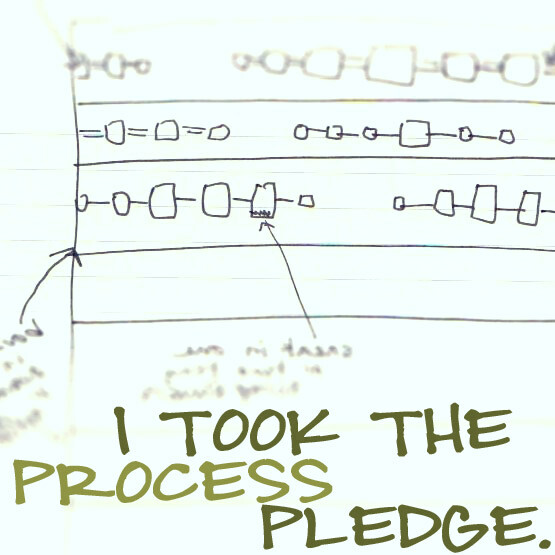 A new piece of information that helps me understand my craft. I am still hopeful to finish the Summer Sampler lap quilt before September 1st! It felt very my like Fall for much of the day today and the skies are threatening rain this evening! Off to quilt some more!!! 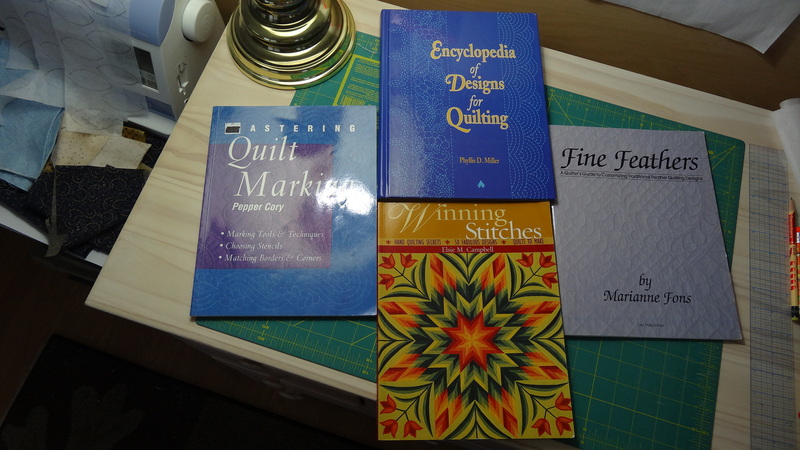 I just acquired some quilting booklets, from a friend who is donating a box of books to the library where I volunteer. 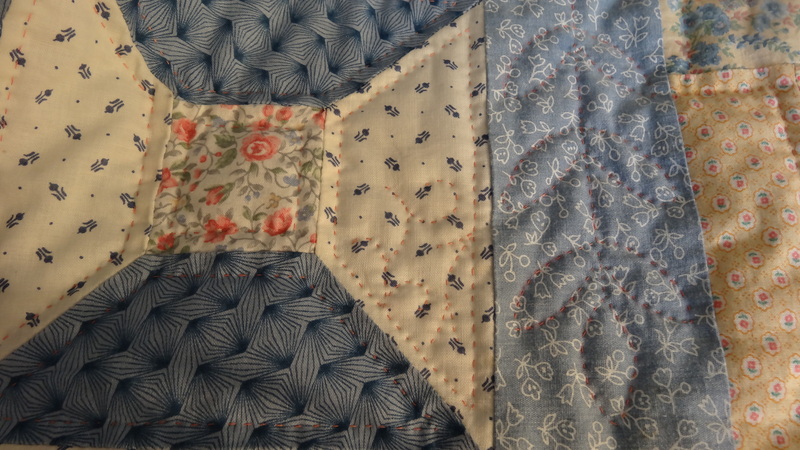 I am sure Jean would be delighted to have another quilter look them over and take what appeals to you…. so you are welcome to look at them any time. How can we connect so that I can show them to you ? 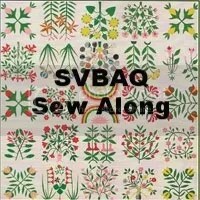 Your quilting blog is so fun to read, and inspiring. Though I have not worked on quilting for some time, I made a tote bag on Wednesday for my neighbor who is recovering from back surgery and needed a carry-all bag for her walker. I have PLENTY of fabric, and found some American flag fabric and some God Bless America fabric and solid red for the inside. 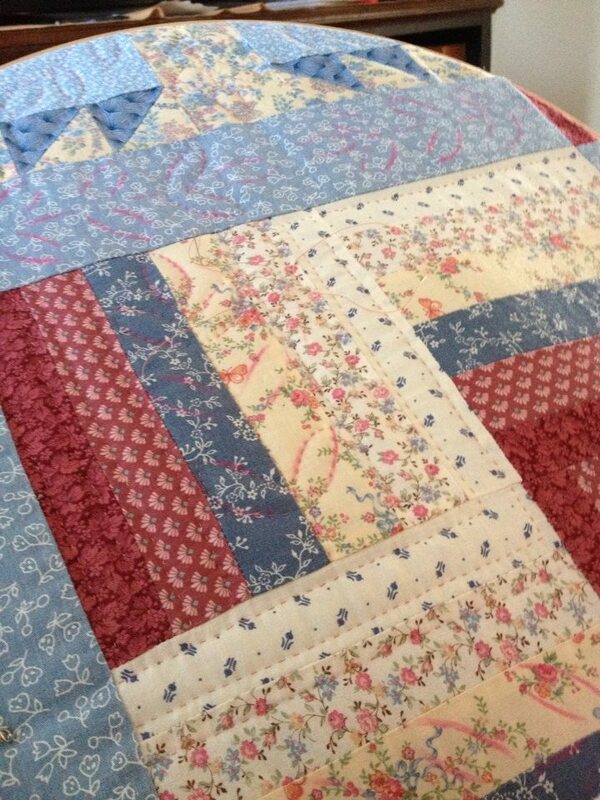 It was fun to get my quilting juices going again, and my neighbor was delighted with the result.